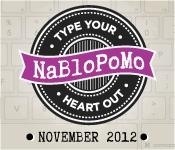 #NaBloPoMo Doing it all over the place. Tuesday, November 5, 2013 Tell us about your writing space. Where do you write your blog posts? 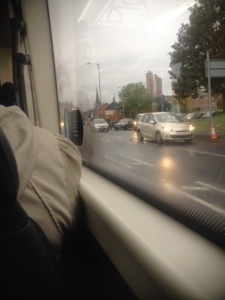 Beautiful wet & rainy Preston Lancashire at 8:20am! Also I’m squashed into my chair by another passenger. It’s charming. I do most of my posts through my phone, it’s rare that I use a computer for it. Sometimes I steal my daughters Nexus, but it has a pink case I don’t like. I think one of my most read blog posts was written on a packed train from Preston to Manchester, and I blogged all of #Juneathon this year on my phone too. I love my phone! 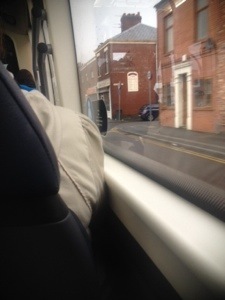 I organized most of LadyFest Preston on the bus in the mornings via my phone. I do most of my shopping via my phone, and I don’t think I’ve ever logged into twitter on my laptop since it was available on my phone, so so long ago! So my writing space isn’t anyplace in particular, it’s just where I have access to the internet.